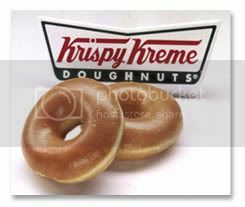 I'm not really a donut lover, but I got to taste Krispy Kreme one time while vacationing in Sydney, they got lots of flavors and the one that i really like the most is the original glazed one. To make it more yummy , i put it on the microwave for few mins. and voila hmmm so yummy together with a nice cup of coffee. Your snack will be so great! They didn't have a branch here yet but when I was watching TV last night (It's a guy thing), they feautured it and oh goodness they have a branch now at SM Megamall , gosh i forgot what building it was A or B.. o well what the heck i'll just find it there anyway.. Can't wait to get a bite of it again..!! That's yummy! Sus paborito ko ito nung preggy ako kay Lilly. That's why I gained 40 lbs lol. But I lost most of it after her birth.